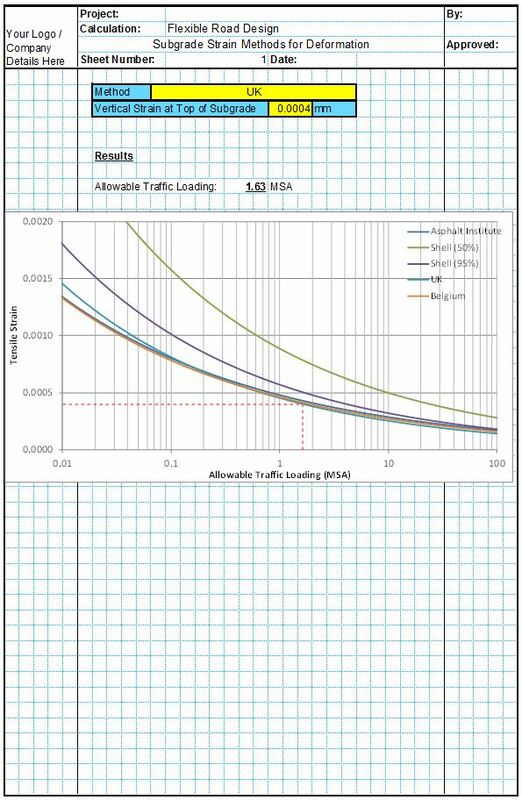 This spreadsheet calculates the design maximum allowable traffic loading for an asphalt pavement in accordance with the California Resistance Method included in the Caltrans standard. 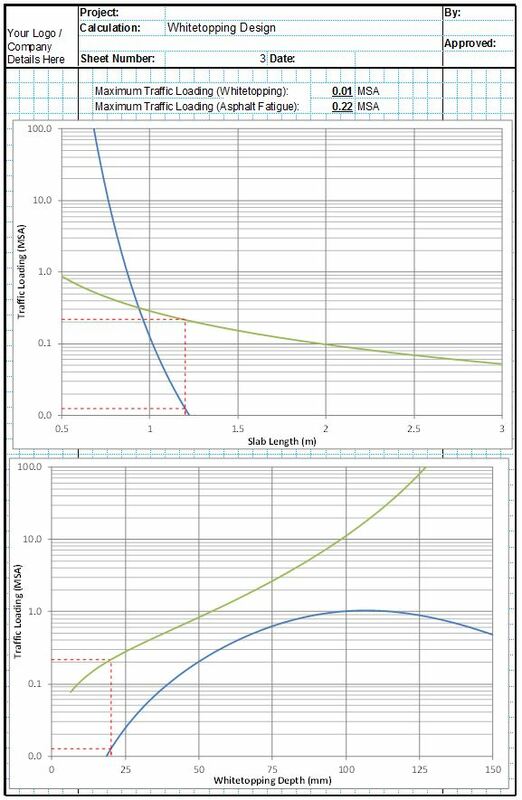 The spreadsheet calculates the gravel equivalent pavement design required to suit user input values for traffic loading and Stabilometer Resistance Value for the subgarde. It then calculates the required asphalt layer thickness which is equivalent to the gravel layer thickness required to suit the user inputs. 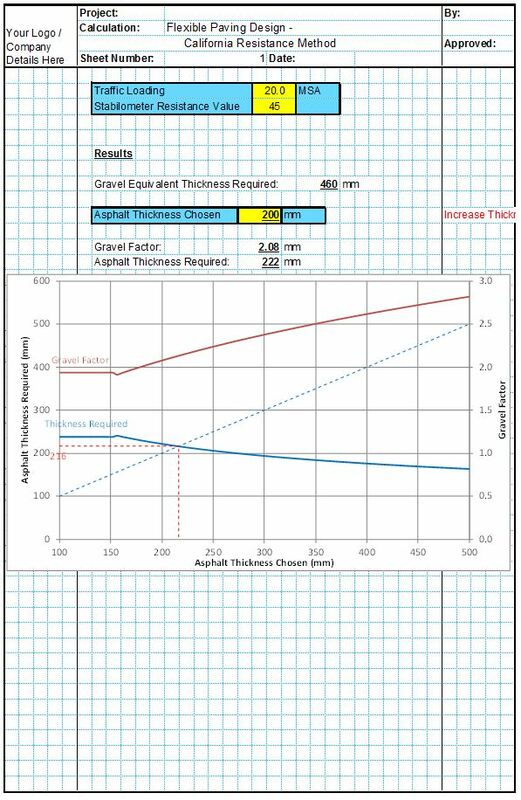 The spreadsheet also includes unique tools allowing the user to see the effects of different asphalt thicknesses. Flexible Road Structural Design Spreadsheet - California Resistance Method Spreadsheet. 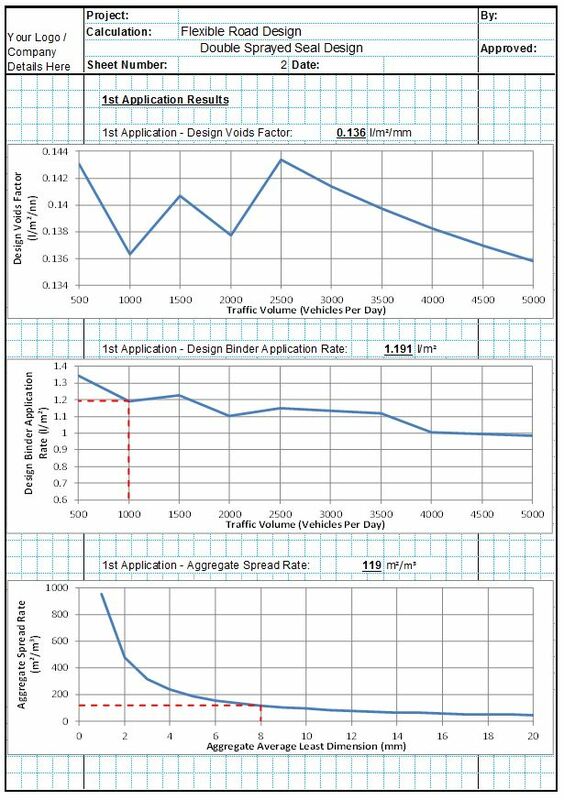 Suite of analysis and design spreadsheets for flexible roads in accordance with the AASHTO 1993 Standard. 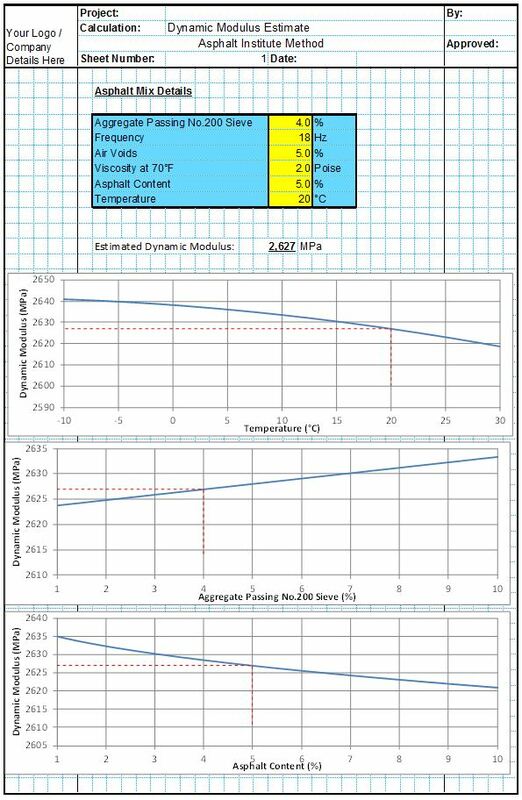 Suite of analysis and design spreadsheets for flexible roads in accordance with the AASHTO MEDG Standards. 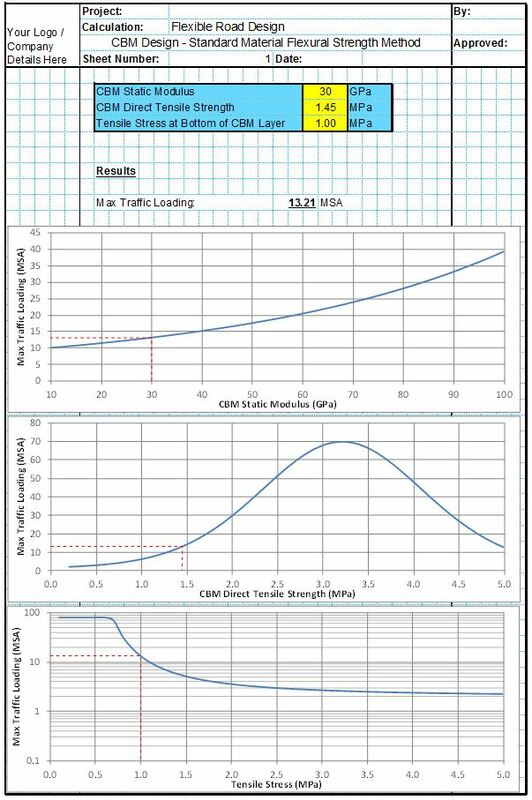 Suite of analysis and design spreadsheets for flexible roads in accordance with the UK DMRB Standards. Flexible road design spreadsheets using other national and industry standards. 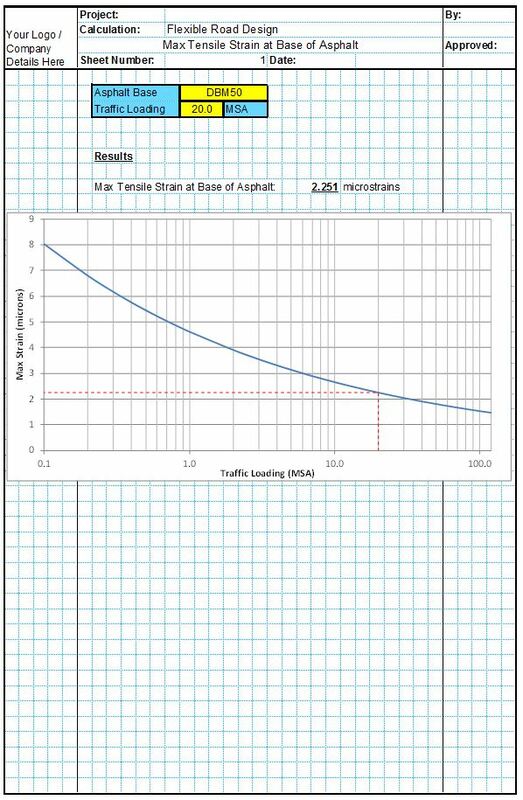 Design of a sprayed seal treatment to and existing asphalt road. 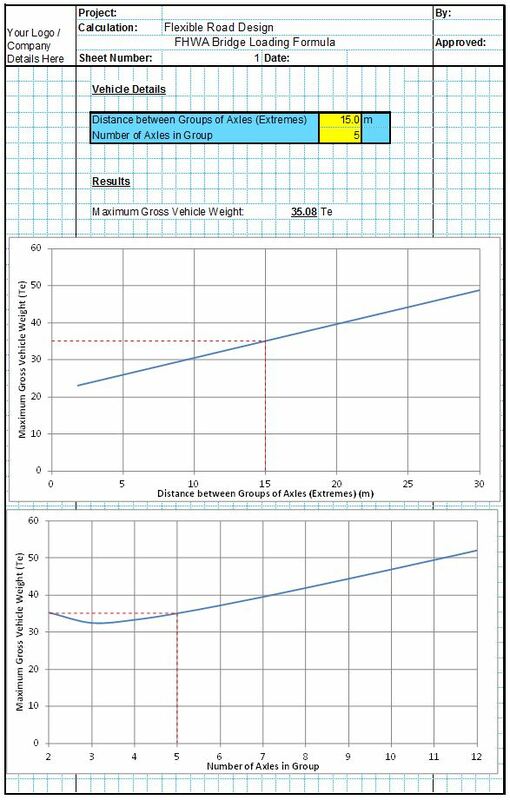 Design of a thin concrete overlay repair to an existing asphalt pavement. 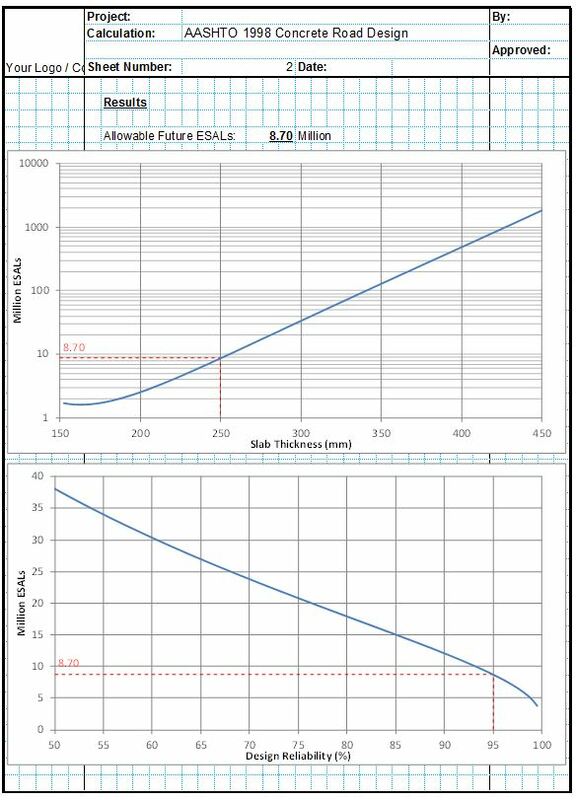 Suite of spreadsheets for calculating & analysing asphalt design parameters. 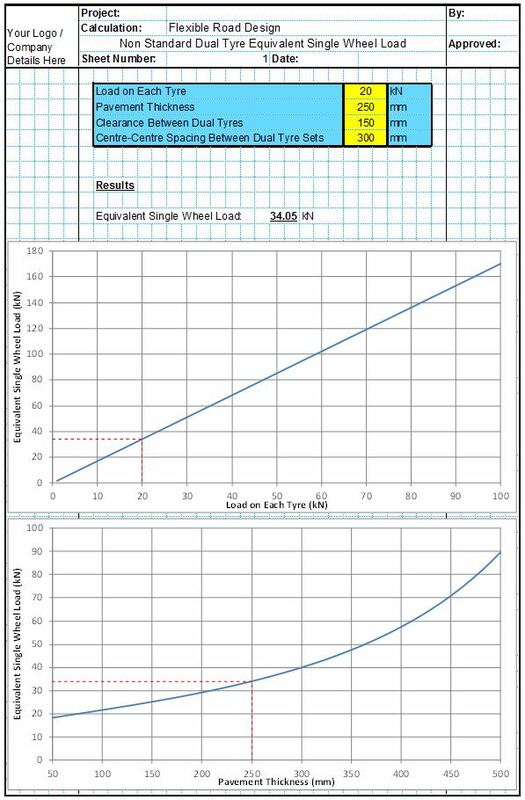 Suite of spreadsheets for calculating and analysing flexible road loading conditions. 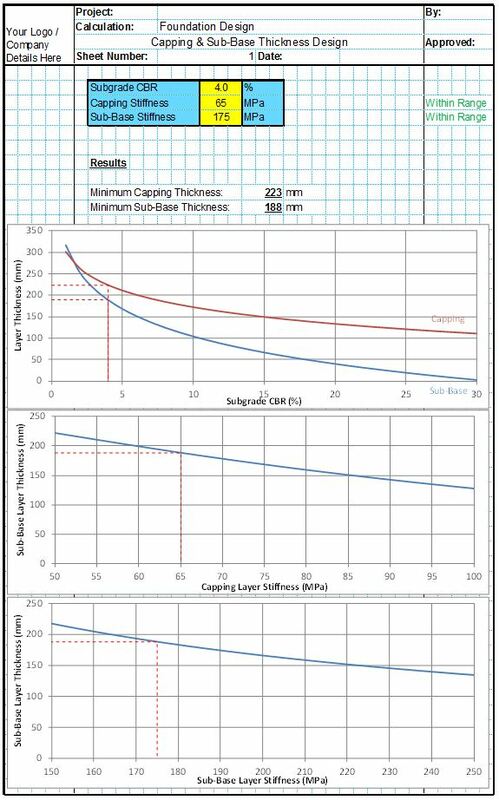 Suite of spreadsheets for designing sub-base and capping layers for flexible pavements. 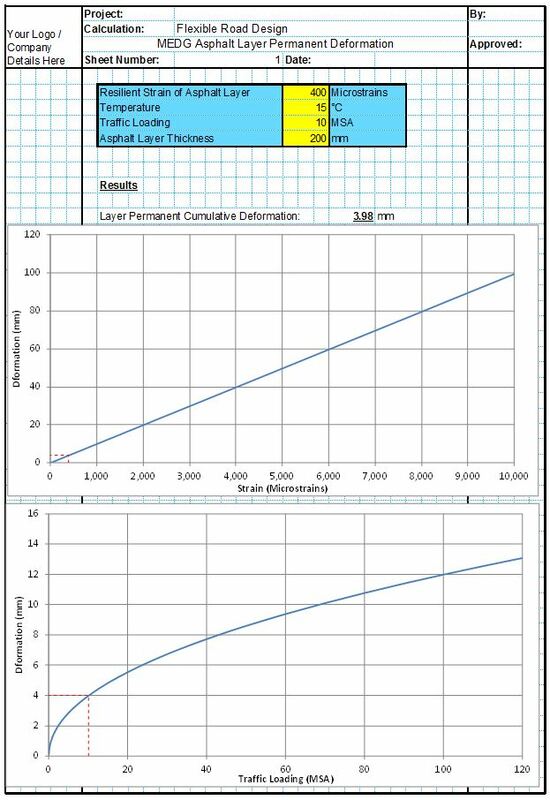 Suite of spreadsheets for the design of Cement Bound Material layers for flexible pavements. A collection of other flexible road design spreadsheets.